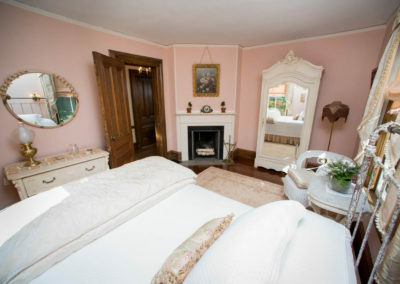 Our Shabby Chic room welcomes you in with its beautiful fireplace and rod iron double bed. 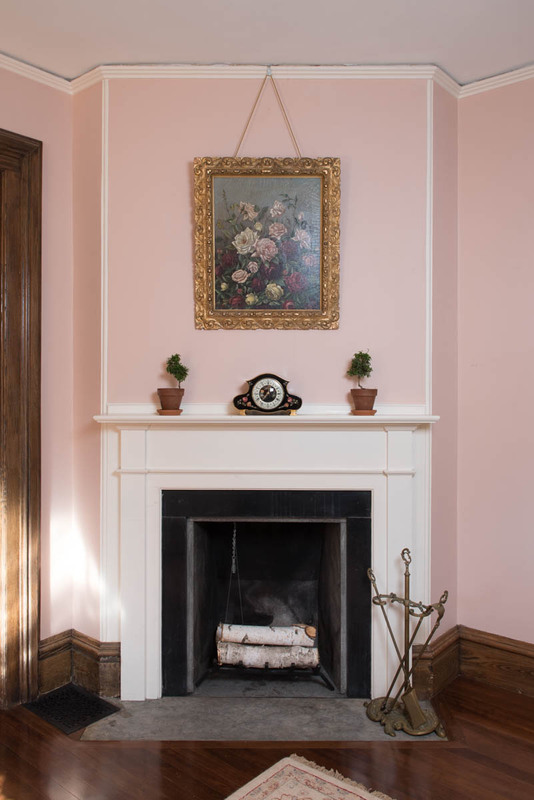 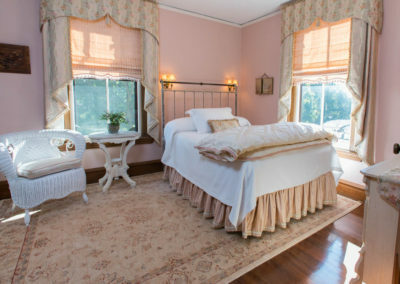 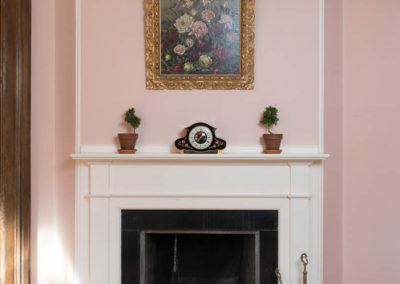 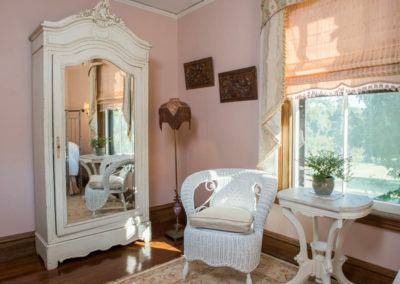 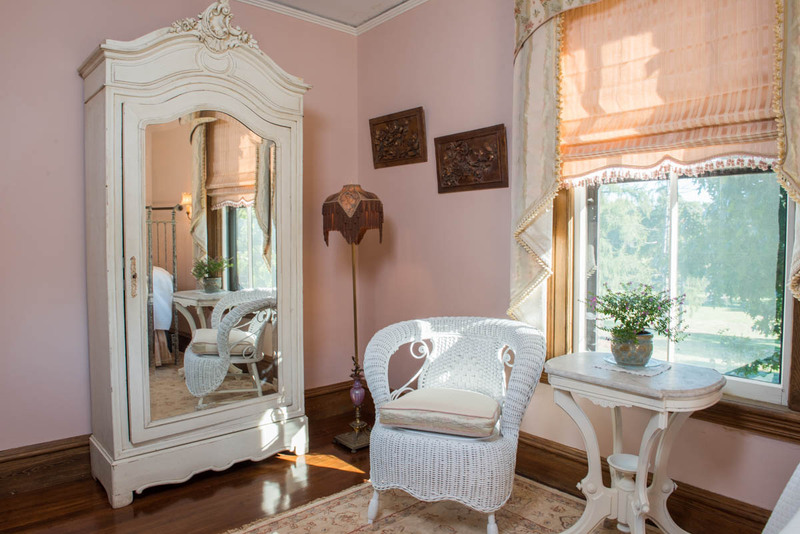 Antique light fixtures and wardrobe complete this rose colored room. 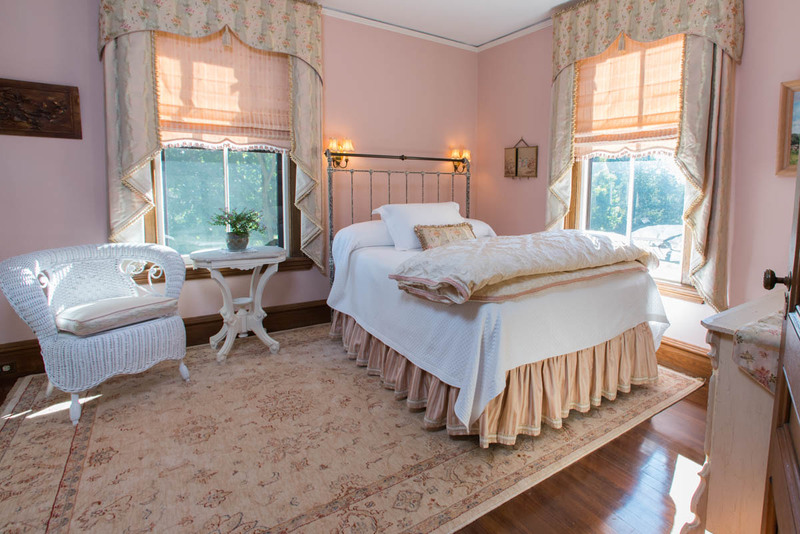 It has a beautiful view of the Great Lawn. 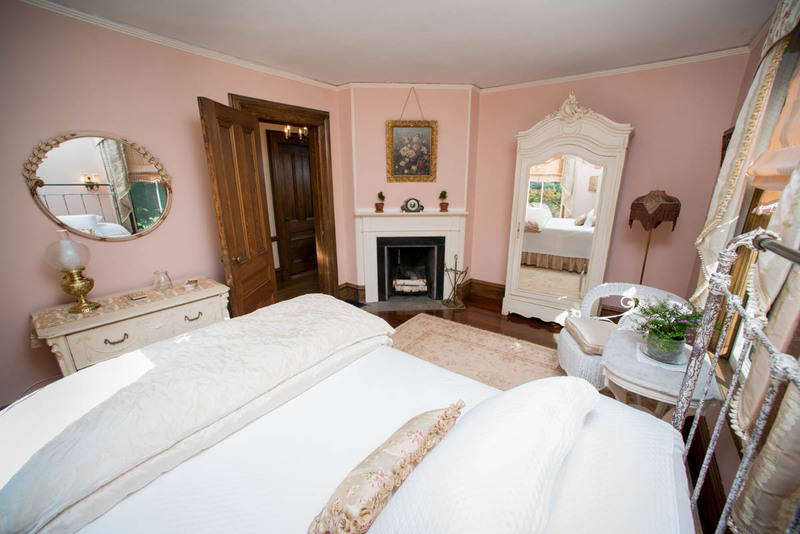 Relax, and treat yourself to a stay in this lovely room. 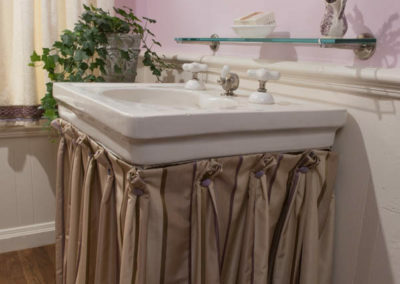 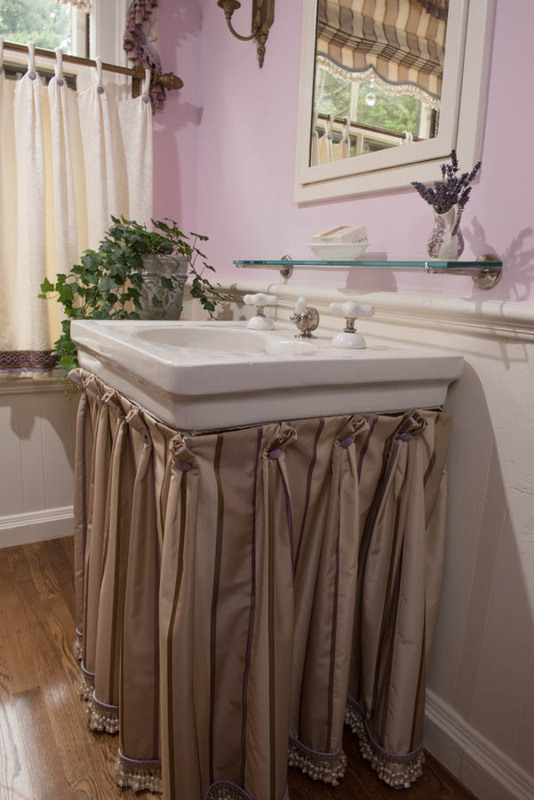 Bathroom has antique pedestal sink and restored tub/shower.